Firm Profile - Salcedo Group, Inc.
Salcedo Group, Inc. is a Civil Engineering, Land Surveying and GIS firm established in Texas as a corporation in 2002. Luis M. Salcedo, PE, RPLS founded SGI and quickly built a foundation in Dallas County in 2003. Through Luis’ more than 39 years of experience, SGI has provided reputable services to our public and private clients by implementing simple goals in every project. SGI focuses on the quality of work, cost effectiveness, technologically savvy, and time-proven designs while reflecting the needs of the community it serves. SGI considers itself as a vested member of the Dallas community, and as such, we feel intimately responsible for providing infrastructure designs that achieve the high standard, quality of life that our community expects. Our firm leans on its superior technical proficiency to provide a succinct design that will be both fiscally thoughtful and innovative at all phases of the design process. We strive to exceed our client’s expectations throughout the design process by listening carefully to the surrounding context of the project, and providing appropriately insightful responses to subject material. We lean on our collective strength to provide a broad base of knowledge from civil engineering, structural engineering, urban design, community outreach, land surveying, and GIS. This base provides us with the foundation needed to provide exceptional quality to our clients and to competently solve challenging problems. SGI is comprised of a team of experienced leaders, supported by a growing team of professionals. We have been serving the DFW community on various civic projects for the past decade. Our major service offerings include: Civil Engineering, Structural Engineering, Land Surveying, and GIS. Additionally, SGI partners with other local firms to help round out their service offerings. 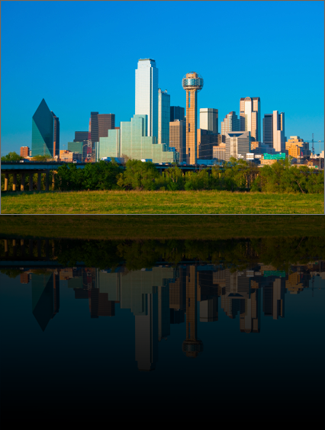 SGI is currently certified as an M/DBE firm with North Central Texas Regional Certification Agency. We maintain all required insurances including professional liability.